March 28, 2017 – University of Houston Law Center professor and former Dean Raymond T. Nimmer has been recognized with three awards for his work in the area of Intellectual Property law. A publication based in the United Kingdom also praised the Law Center for its excellence in the field of intellectual property, and cited Nimmer as an outstanding performer in IP law. Now in its fourth year, Acquisition International Magazine gave the Law Center "Best IP Education Centre - Texas" award. In a statement, the magazine said the 2017 IP Excellence Awards are meant to showcase the best intellectual property professionals across the industry, including copyright, trademark and patent litigation practitioners. "With the rise in (digitalization), both businesses and individuals are becoming ever more reliant on their online content, which in turn means the protection of this is crucial for the overall success of the business domain," the magazine said in a statement. "The intellectual property industry has grown in terms of its importance with clients requiring support and guidance on how to protect both their intangible assets and online information." Corporate Vision Magazine, also based in the U.K., selected Nimmer as the 2017 winner of an inaugural US Legal Elite Award. Nimmer was named 2017's Leading Legal Practitioner. Corporate Vision also recognized the Law Center with its Best for Information Law Services award. 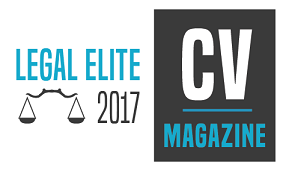 "The US Legal Elite awards have been coordinated by Corporate Vision's in-house research team, with the goal of highlighting and showcasing a select number of the most outstanding legal professionals nationwide, across all areas of expertise," said Jo Holloway, Corporate Vision's features executive. Nimmer was also the winner of an award from Martindale-Hubbard, a peer-review information service for attorneys. He was named the 2017 AV Preeminent Attorney - Judicial Edition – Martindale-Hubbard's highest ranking for attorneys.